We love pizza. We make it quite a bit. In our kitchen I haven't been able to nail a pizza with really good lift on the crust because we don't have a broiler in our gas oven... or so I thought! Katie pointed out that our broiler was beneath the oven, which is, apparently, pretty conventional but something I'd never had before. 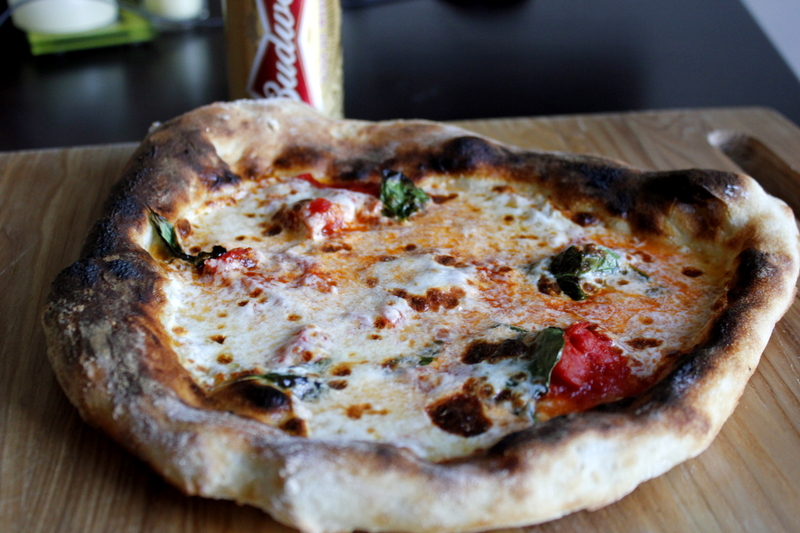 Tonight I threw the stone in there, pulled out some Buddy sourdough we had working and tried our classic Margherita. In honor of the World Cup starting today and the Budweiser sourdough crust, we paired this one with a Budweiser in the World Cup Aluminum Bottle. This pairing was on point. 3. Crush tomatoes in a bowl with salt. 6. Transfer pie to stone and cook for 4-5 minutes or until crust is crisp. We paired this pie with a Budweiser. Budweiser's biscuit note picks up the breadiness of the sourdough. The balanced maltiness amplifies the sweetness of the San Marzano tomatoes. 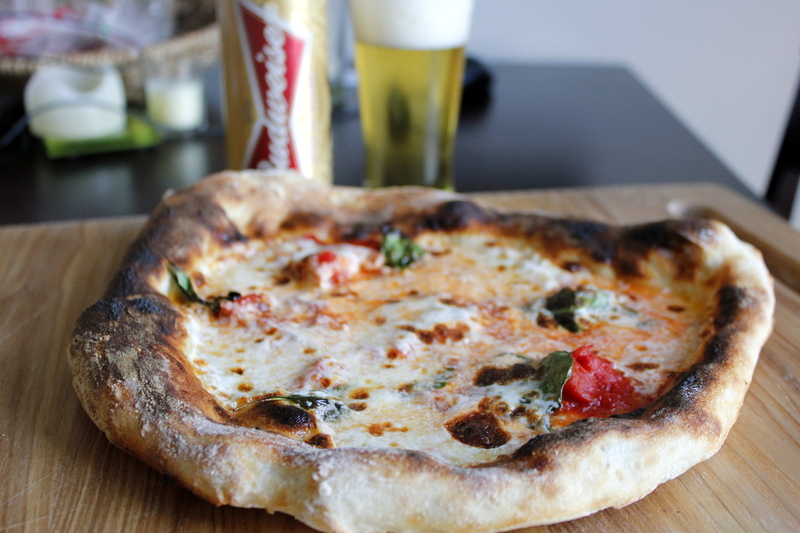 Budweiser's crisp, clean finish (from using rice as an adjunct) helps cut the creaminess of the fresh mozz. Really nice combination and it is very cool to taste a hint of the Budweiser in the sourdough -- since that is all that Buddy has been drinking since January -- and then get the full punch of it in the glass.